Our weekly Torah class will be a little different this week! Join our family for a Menorah lighting and dreidel game, which will be followed by our Chanukah themed Torah class. 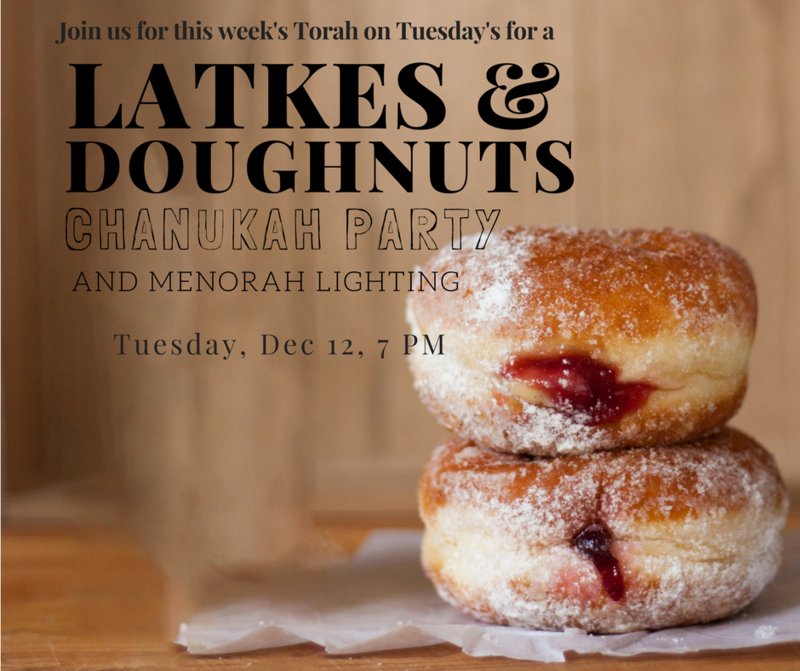 Delicious, homemade, Chanukah refreshments will be served. Located, as always, at 4012 S April Place.